New Coupons + Tripler Deals: $0.75/1 ICBINB, $0.75/1 Hellmann's + More! 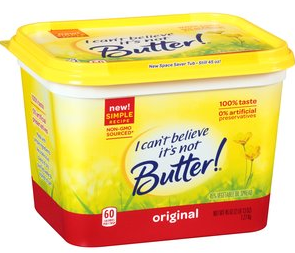 I Can't Believe It's Not Butter, any $0.75/1 Print Exp. 5-15 = $0.50 at Price Chopper after triple! This coupon say dnd but per the double coupon check app it will double, I have not tried it yet, let us know if it doubles/triples for you! Hellmann's Squeeze is on sale for $2.99 at Price Chopper = $0.74 if it triples!